I’ve been wanting to try this recipe for a while. I love meatball subs, so I was totally curious about this casserole dish. Lets just say sometime the ugliest dishes are the best! I only say that because this casserole was hard to arrange on a plate to photograph and still make it look savory. I don’t know if I succeeded, but did my best 🙂 You can be sure it tastes super yummy though! My husband was actually making the “Mmmm” sound with every bite. 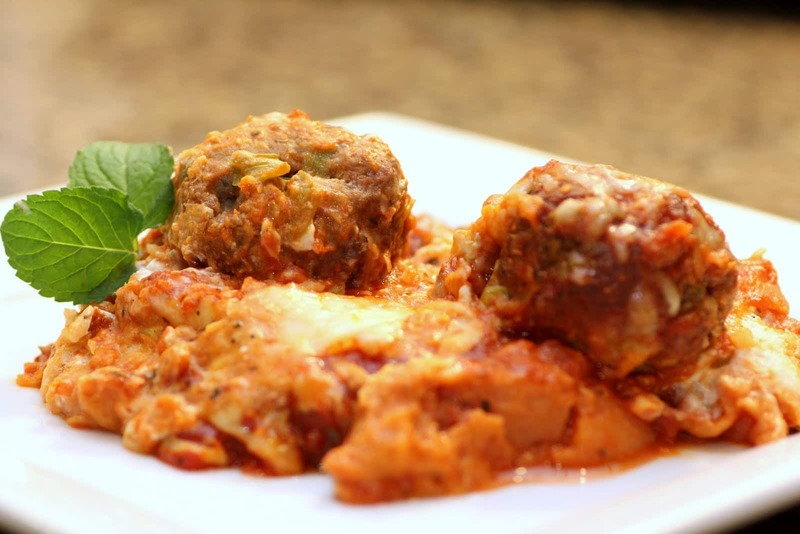 One of the best and most original casseroles I have ever tried. Also, if you want you can use light ingredients, like light mayo and light cream cheese, to make this dish a little more calorie friendly. I used light mayo and it still turned out so yummy. Also, my sister tried this recipe, and reminded me of another little change I wanted to make to this dish. You really need at least 1 1/2 if not 2 pounds of beef. 1 Pound just doesn’t seem sufficient. But if you add some extra meat, I would say this dish is a 10 out of 10. You gotta try it! In a bowl, combine onions, crumbs and Parmesan cheese. Crumble beef over mixture and mix well. Shape into 1-inch balls; place on a rack in a shallow baking pan. Bake at 400 degrees for 15-20 minutes or until no longer pink. Meanwhile, arrange bread in a single layer in an ungreased 13-in. x 9-in. x 2-in. baking dish (all of the bread might not be used). 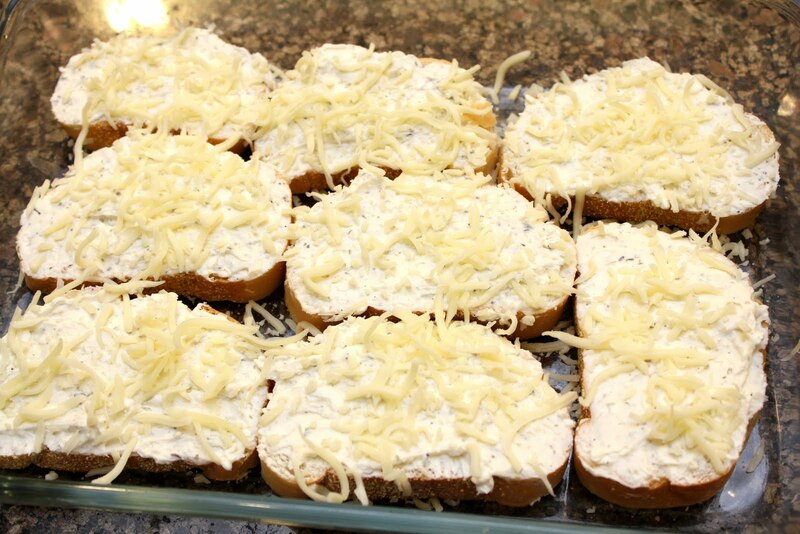 Combine the cream cheese, mayonnaise, Italian seasoning and pepper; spread over the bread. Sprinkle with 1/2 cup mozzarella. Combine the sauce, water and garlic; add meatballs. Pour over cheese mixture; sprinkle with remaining mozzarella. Bake, uncovered, at 350 degrees for 30 minutes or until heated through.